The Mousa Broch is a historic round tower or broch situated on the small island of Mousa off the north east coast of Scotland. 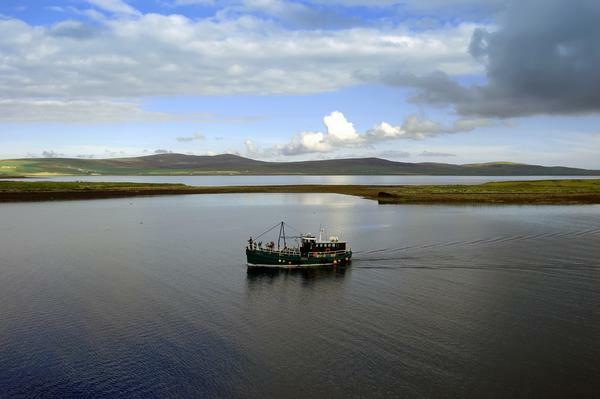 Mousa is one of the archipelago of islands off the coast of Mainland Shetland. The Broch of Mousa is undoubtedly the best conserved Iron Age structure in the British Isles. 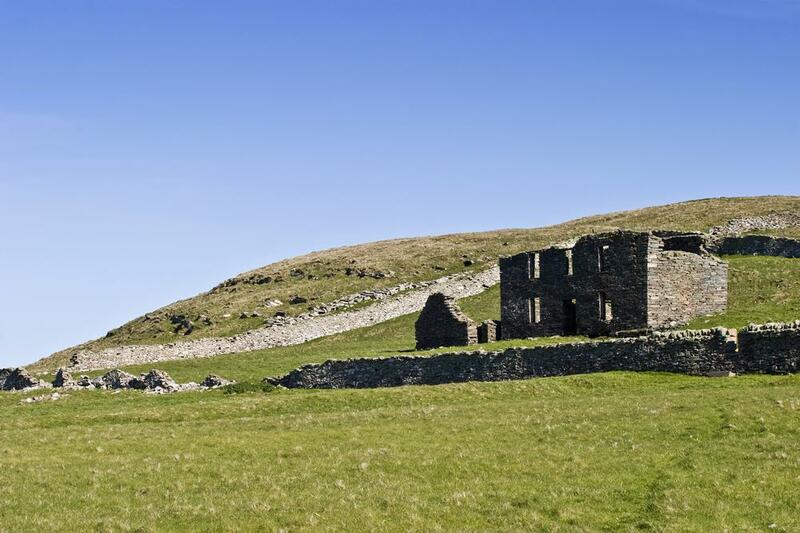 It was built as a fortified house over 2,000 years ago and stands guard above the craggy shoreline. 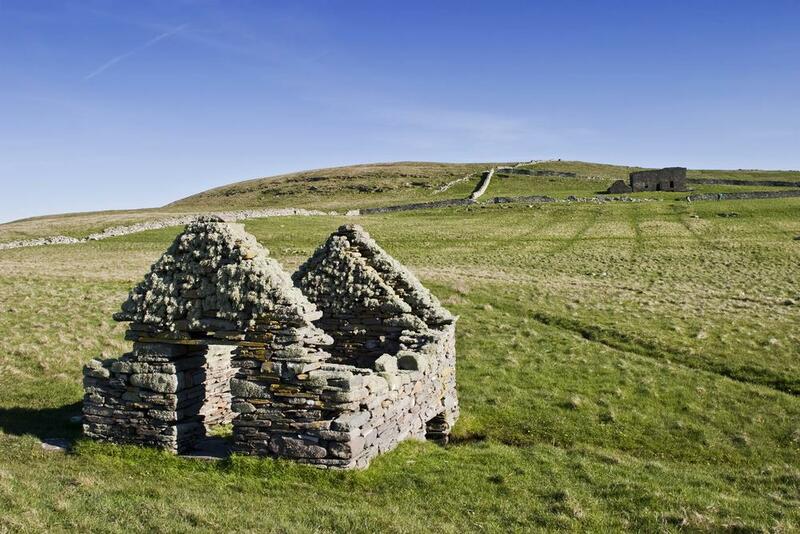 It would not have withstood a siege but the height would have given the inhabitants and their livestock some protection and an advantage over any potential attackers. 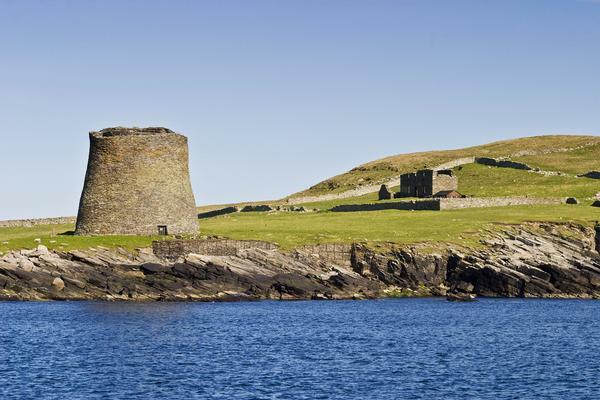 The broch was mentioned in the Orkneyinga Saga, a Norse narrative which was written around 1230 AD. Mousa Broch was one of a series of brochs which would have been used as beacons within sight of each other. 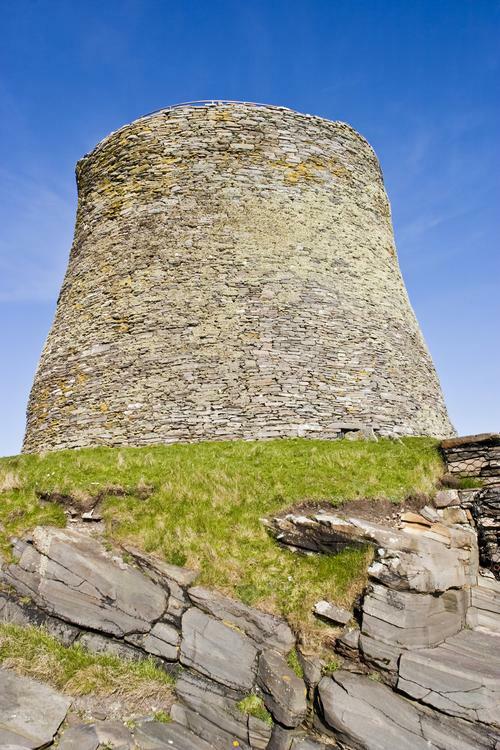 Altogether 570 brochs were known to have been built in Scotland, although this is the tallest one still standing. The matching broch across the Mousa Sound is poorly-conserved by comparison. 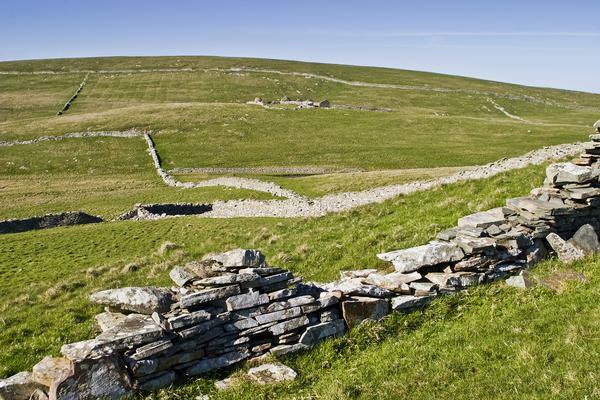 Once the towers began to crumble, the stones were often gathered and used for stone walls and other buildings. Fortunately the Mousa Broch was spared this, probably due to its remote location and extra thick walls. Although it has never been fully surveyed, the inside of the tower was cleared of debris in 1860 and 1919. Archaeologists have used a laser scan to document the structure and see how it was constructed. The entrance is via a long entrance passageway through the thick walls. Although the tower is 49 feet wide externally, inside it is only 19 feet - the remaining 30 feet being taken up by the sturdily built walls. The tower is 44 feet high which was probably its original height. This amazing structure is built without any mortar, as a dry stone construction. Furnishings as such are a low stone bench and a flat hearthstone. The interior is divided into a number of storerooms and at the second floor level, reached by a staircase, passageways exist between the walls. There was probably a wooden roundhouse at this level topped with a supported thatched roof at the level of the higher ledge. Mousa lies just off the east coast of Mainland Shetland. It is 1½ miles long and less than a mile wide. It has two deep inlets which almost meet in the middle, creating a clear north and south island. The fertile soil has many interesting plants which seem to thrive in the salt-laden winds. The rich grassland is grazed by sheep. 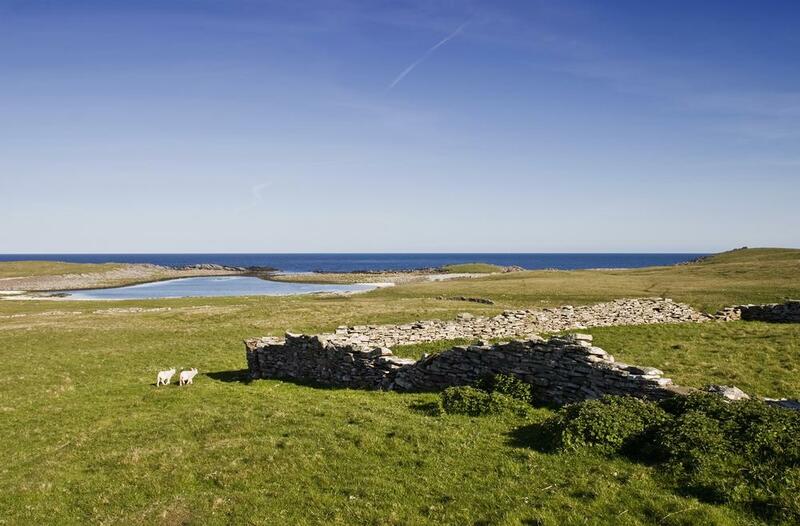 As well as having the Iron Age round tower, the island of Mousa is otherwise uninhabited and is designated as a Special Protection Area. There is a RSPB bird sanctuary for breeding colonies of storm petrels, around 6,800 breeding pairs at the last count. 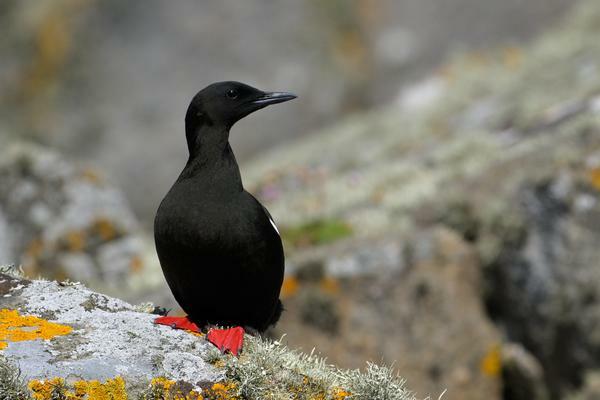 Other wildlife for visitors to look out for include grey and common seals, Artic terns and guillemots. The island of Mousa is very easy to reach by passenger ferry which runs from Sandwick on Mainland Shetland in the summer months. On the island of Mousa, accessible by boat from Sandwick on Shetland, about 14 miles south of Lerwick. For ferry contact operator, tel: 01950 431367.